Do you want to know what else is awkward? Losing all of the files on your computer. Save your pictures and videos for 1,000 years using Yours.co. Don’t let opportunity pass you by. The only way to progress in life and find success is by taking chances. Don’t allow your fears to limit you. Your family needs to know how much you love, admire and care for them. Letting someone know how you feel about them is a precious gift. People die. Everyday, in fact. Hate to break it to you, but one day, that person is going to be you. So before you kick the can, make sure to dot the i’s and cross the t’s, so that your family isn’t left figuring out what to do. If you eat junk food every day, you’ll find out quickly that it’ll do a number to your body. Fill your diet with fresh fruits and vegetables. Cut out the sugar and Diet Coke. Your thighs will thank you. It’s painful to see money leave your bank account. However, it is even more painful to get into a major wreck and not be able to cover it because you’re uninsured. You will be really sad one day if you realize that you no longer have a strong relationship with your spouse. Make your husband or wife a priority. Your partner should be the most important human being in your life. Even if you can put even just a tiny portion of your paycheck into savings, that is great! You never known when unemployment or a major expense will hit. Money issues are stressful, so plan ahead and be prepared. Maybe your educational path didn’t quite turn out how you planned, but there is always time to go back and finish. A college degree opens up job opportunities that no high school degree ever can. Vacations are good for the soul. Even if all you do is stay at home and hang out with your kids, you should do it. Taking a break from the 9-to-5 grind will reinvigorate you. Sometimes the hardest person to forgive is yourself. Everyone in this world makes mistakes – you’re only human. If you’ve made poor choices in the past, don’t beat yourself up. Make things right and move forward. Angry, resentful and hateful feelings are toxic and unnecessary. If someone has wronged you in the past, forgive them. Don’t hold grudges. Pull out your camera often. Capture anything that matters, so that you can keep those memories with you always. If you’re doing a great job at work, and you know that you’re worth more than you’re making, SPEAK UP! Humble yourself. There are people who throw away years of friendship, because they are not willing to apologize for their wrong doings. Even tiny things are worth getting excited about. This one is for the work-a-holics of the world. As they say, nobody ever looks back on their life and wishes that they spent more time at the office. Even though there is a lot to do, learn to turn off your email and go spend time with your family. Regular exercise will keep your mind, body and spirit healthy. Do your future self a favor by developing good habits early on in life. You will protect yourself from a lot of pain later by taking care of your body today. You can’t say “yes” to everything – no matter how much you want to. Don’t allow yourself to get overwhelmed, and learn to say “no” to people when you just don’t have the time to do everything. Deep down in your heart, you know when someone isn’t right for you. If they are abusive, unkind or inappropriate in any way, get rid of them. Even though you can make it through the day on no sleep (and 10 cups of coffee), doesn’t mean it’s good for you. Get to bed early and allow yourself to get in a solid 8 hours. It’ll do wonders for your stress and overall well-being. Most people have tons of files saved up on their computers and external hard drives. But do you know that those types of devices aren’t entirely fail-proof? Furthermore, did you know that even cloud drives aren’t entirely reliable either? According to one survey, “53 percent of those surveyed have experienced five incidents of virtual data loss in the past year alone, with 12 percent reporting even more than that.” That means, even if you upload all of your important files to every single device in your house and online, there is still a pretty good chance that you’ll lose something. The best way to avoid data loss is by archiving your files using Yours.co. We engrave photos and videos onto discs that stay good for up to 1,000 years. Learn more about this amazing, new archiving technology by visiting our website. To everyone out there who is having a horrible day, we’d just like to say, don’t worry – it could be worse. Some bad things you can’t prevent, but fortunately, some things you can. Don’t let data loss ruin your day! 30% of people have lost personal files and don’t even realize it. Chances are, you’re probably one of them. Your precious files might not be as safe as you imagined. Most data storage devices work for about 5-10 years. Yours.co is different. Our archival discs have a patented rock-like layer that engraves your data in stone, so that it lasts up to 1,000 years. To find out more about this awesome technology and sign up for a subscription, visit Yours.co. 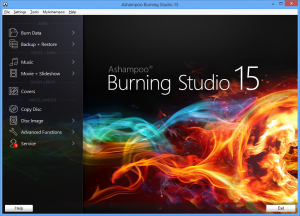 German multimedia developer Ashampoo has unveiled the latest edition of its flagship disc mastering suite, Ashampoo Burning Studio 15. The headline addition is new support for M-DISC(yours.co), an optical media type which, in theory, can remain readable for 1,000 years. Audio improvements start with support for recording from Windows audio devices, for example to add a narration to a slideshow. The suite can now work with OPUS audio files, and perhaps less usefully, there are optional sound effects for videos and slideshows. An Autosave option automatically saves your projects at regular intervals, protecting you from disaster. Not by default, unfortunately, as it’s disabled, but clicking Settings > General Options > Enable Autosave will turn the feature on. The major practical improvement is 10-15% faster video encoding, but the suite does also offer some extra content with new skins, styles and templates. 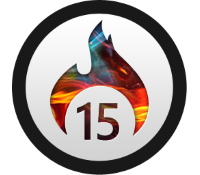 Ashampoo Burning Studio 15 is priced at $49.99 ($19.99 upgrade). A trial build runs for up to 30 days, and is compatible with Windows Vista and later. Please see www.ashampoo.com for more information. We are very excited about our partnership with Verbatim. Please look for an article about our partnership in the newest copy of Computer Bild Magazine in Germany. Hitachi Data Systems Federal (HDS Federal) unveiled a data storage platform designed to help government agencies “store and secure data for as long as necessary and access it whenever they want,” the company said. The company’s disk-based Hitachi Digital Preservation Platform (HDPP), announced Sept. 10, is equipped to preserve government records “for the next generation,” or “enable long-term storage for anywhere from five to 1,000 years,” the company said. The HDPP is an optical storage system that currently uses Blu-ray technology and eventually would use yours.co owned: M-DISC to preserve the nation’s records. M-DISC is a write-once optical technology that uses a single recording layer and a high powered laser to record disks that can be read from conventional disk drives. Data is “engraved” into the M-DISC by physically altering the recording layer and creating permanent surfaces in the disk. The platform would also help agencies meet government preservation mandates including the Presidential Memorandum for Managing Government, a 2009 directive that required federal agencies to manage all permanent records in a digital format by 2019. HDS Federal says HDPP will let federal agencies access data no matter how long it is stored and at a lower total cost of ownership. “The explosive growth of digital information and the proliferation of media formats poses a long-term storage challenge for federal agencies,” said Mike Tanner, president and CEO of HDS Federal. Visit yours.co to learn more! Under the partnership, Verbatim—and its parent company, Mitsubishi Kagaku Media (MKM)— will begin worldwide marketing and sales programs of M-Disc-branded DVDs and Blu-ray™ discs (BDs) and technologies to consumers and enterprise customers. MKM will also pursue M-Disc partnerships with archival software developers, and OEMs (Original Equipment Manufacturers) in the personal computer and optical disc drive (ODD) markets, including M-Ready® ODD manufacturers. Additionally, Millenniata, Verbatim and MKM have agreed to joint development efforts designed to expand the capabilities and capacities of archival-grade data storage technologies both in terms of longevity and data storage capacity. Millenniata’s patented M-Disc technologies for archival-grade optical Blu-ray discs and DVD disc storage mean that users can record and store data that can last for up to 1,000 years. Verbatim/MKM anticipates that its co-branded Verbatim and MKM/M-Disc DVDs and Blu-ray discs will be available in late 2014. To learn more about co-branded Verbatim and MKM/M-Disc consumer or enterprise archival media products, please visitwww.MDisc.com, call Millenniata at 801-610-1998, or visitwww.Verbatim.com. Millenniata’s writable M-Discs utilize a layer of patent-protected rock-like, inorganic materials that mean archival-grade M-Disc and Blu-ray discs are virtually impervious to environmental exposure, unlike typical writable BD or DVD discs. Using these patented rock-like materials means that it is nearly impossible to degrade the data stored on an M-Disc Blu-ray discs or DVD disc. In fact, Millenniata’s patented M-Disc technology has been proven through ISO/IEC 10995/16963 standard longevity tests and is the only data storage solution to withstand rigorous testing by the U.S. Department of Defense. Based upon Millenniata’s extensive laboratory tests, M-Discs have an expected usable lifetime of up to 1,000 years. Mitsubishi Kagaku Media, a 100% subsidiary of Mitsubishi Chemical Corporation, is a company that plans, develops, manufactures and sells products based on the technology and knowledge of the Mitsubishi Chemical Group. Verbatim is a global brand of Mitsubishi Kagaku Media sold in over 120 countries worldwide. According to SCCG/JRIA data, Verbatim has had the largest market share of recordable optical discs (CD/DVD/BDs) sold worldwide by brand for eight consecutive years (from 2005-2012). Millenniata has transformed the world of data storage with its archival-grade M-Disc technologies, advancements that allow data to be “written once and read forever.” For more information, please visit www.MDisc.com. Millenniata, M-Disc and M-Ready are registered trademarks of Millenniata, Inc. All other trademarks are property of their respective owners. Yours.co’s patented M-Disc technologies for archival-grade optical Blu-ray discs and DVD disc storage mean that users can record and store data that can last for up to 1,000 years. To learn more about co-branded Verbatim and MKM/M-Disc consumer or enterprise archival media products, please visit www.yours.co, call at 801-610-1998, or visit www.Verbatim.com. Cyberlink is a preferred partner for yours.co and the MDisc DVD and Blu-ray. Visit the Cyberlink website for free trial software. Founded in 1996, CyberLink Corp. is the world’s leading multimedia software company. With over 100 patented technologies that provide a solid foundation on which to continuously revolutionize the way multimedia is experienced, CyberLink’s visionary outlook has allowed the company to grow rapidly. CyberLink’s broad portfolio of multimedia applications can be categorized into two main areas: Media Entertainment – PowerDVD being the flagship product in this category, provides the latest in media playback on PCs, across devices in the home network, and on-the-go with portable smart devices; and Media Creation – offers a series of software to create enticing videos & photos, author Blu-ray & DVD discs and more. Summary: The most important stories aren’t always those that win the most attention at the time. These are my picks for the important, but not always famous, 2013 stories. Important storage stories range from obscure underlying technologies to great public controversies about how and why we use the massive repositories that new technology has made possible. Data security – like highway safety – is an issue that will always be with us because the costs of failure are high but there is no good alternative. Object storage is the fastest growing sector of the storage industry – perhaps even the only growing sector – so improvements to its efficiency and competitiveness are important. Both Facebook and Microsoft researchers have made significant improvements that make on-premise RAID systems even more uncompetitive for bulk storage. The lack of reliably persistent storage is a real threat to a digital civilization. While the capacity may not be everything we’d like, the 1,000 year DVD from Millenniata – which I torture tested – looks like the real deal. Expect to see and hear more in 2014 as more burner vendors are certified. And the Blu-ray version should be generally available this year as well. The failure of high-end cloud storage vendor Nirvanix reminds us that clouds are businesses, not magic. They gave their customers 1 month to get their data back, which could be a problem if dozens of terabytes needed moving. Even if the vendor is sound, stuff happens. You also need to plan for loss of access, or configure your cloud to overcome even data center level failures. In 2013 we discovered that most people don’t want to buy PCs: they just want to read email, surf and share pictures and movies, preferably while lounging in bed. PC vendors no longer call the shots in the consumer storage market and drive vendors have responded with increased external storage sales, innovative new products and acquisitions. Seagate’s acquisition of enclosure vendor Xyratex – spun out of IBM some 20 years ago – is a welcome sign of greater vertical integration. Consumers want to buy storage, not disks, and that is the business drive vendors need to win. Remember earlier this year when xenophobes were whipping up hysteria about possible backdoors in Huawei’s networking gear? Turns out the NSA was way ahead of them – and Americans way behind. The NSA has damaged the credibility of every American tech company – China says thank you! – and there is no easy way back to a position of trust. Storage vendor EMC, who owns RSA, is probably wondering why they thought buying RSA was a good idea. The cozy military-industrial-surveillance complex needs a major shake up with much greater transparency and a strong rebuke – but don’t hold your breath – from the Supreme Court. 9/11 terrorized Americans into giving up their freedom in exchange for illusory security. That needs to end now – and maybe in 2014 it will. The storage industry is moving faster than I’ve ever seen in the last 30+ years, and it shows no sign of slowing down. That’s the good news. The bad news is that society is only now starting to understand what it means for huge data stores to capture commonplace behavior and subject it to advanced statistical analysis. It’s like the invention of cheap alcohol distillation in the 18th century – yay, a cheap drunk! – but the damage to society took decades to understand and mitigate. But storage is a tool that – like any tool – can be used for good or ill. Let’s hope we have the collective wisdom to know the difference.